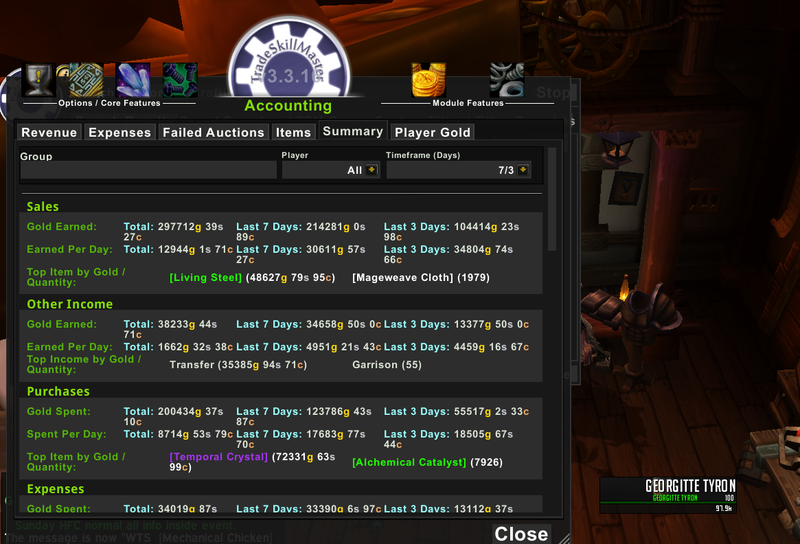 Selling Enchants on high pop server, undercutting aggressively. 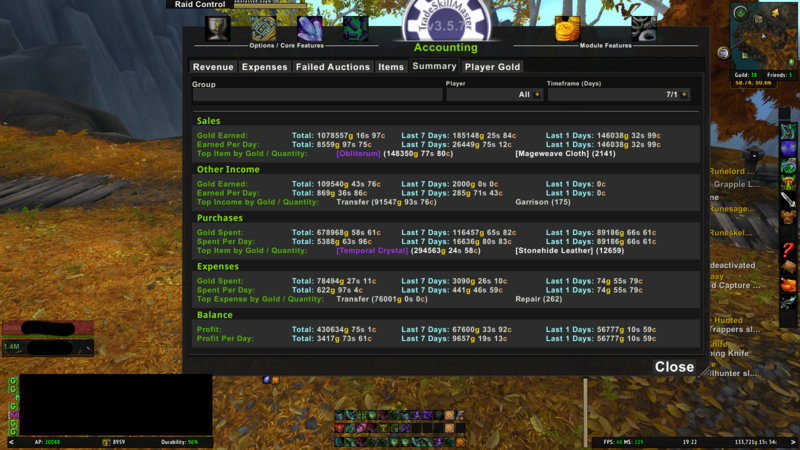 Obliterium madness 146k gold in one day low pop alt account. Where are you farming Spirit of harmony for transmutes? I've been soloing trash up to the first boss in Heart of Fear on 25M but wondering if there is anything more efficient? (09-11-2016, 07:06 PM)XeroVoid Wrote: Where are you farming Spirit of harmony for transmutes? I've been soloing trash up to the first boss in Heart of Fear on 25M but wondering if there is anything more efficient? I never farm mats, just buy them all on AH. You have to see ah price trends throughout the day for my server the prices are very low during prime time and rise during off prime times, so I just buy them during that time.